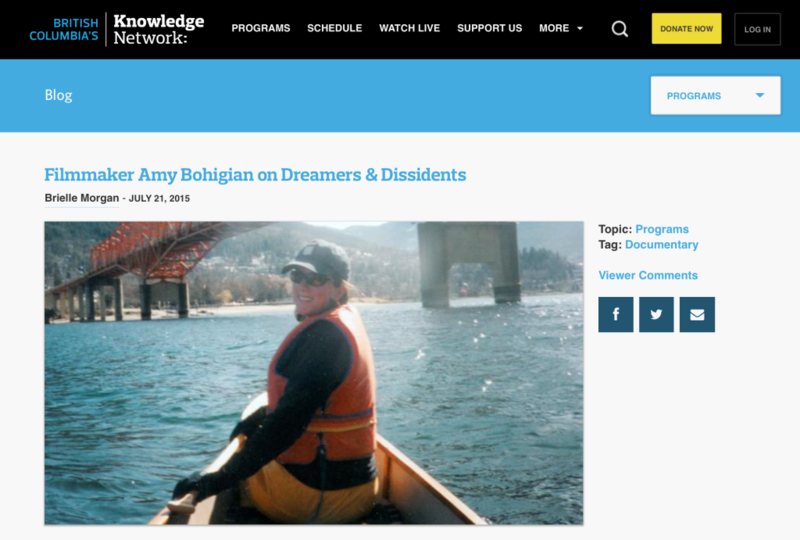 Dreamers and Dissidents – Interview with Filmmaker — Watershed Productions Inc. The broadcast premiere of Dreamers and Dissidents is August 3rd at 8PM. For those of you without cable, visit www.knowledge.ca to view the series starting on August 3rd at 8PM. Posted on July 29, 2015	in Resource. Bookmark the permalink.